The following review is for a dietary supplement called Nutri Suppz Probiotics Ultra. 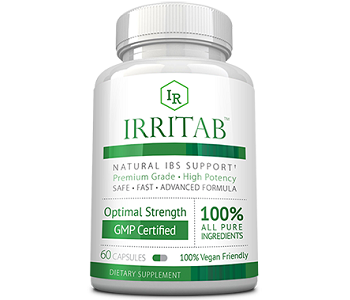 This supplement is designed to help persons who are suffering from Irritable Bowel Syndrome (IBS). The manufacturer claims that it can also help aid in digestive health, support weight loss, and assist in gas and bloating. Find out more about Nutri Suppz Probiotics Ultra by reading out full review below. 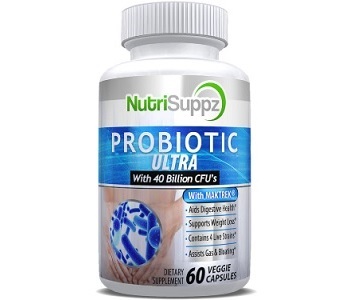 Nutri Suppz Probiotics Ultra contains a proprietary blend of Probiotic Bacteria consisting out of 40 billion organisms. The product also contains other individual types of bacteria. The manufacturer claims that the ingredients in this product can help improve digestive health and destroy the unwanted bacteria in the body. Unfortunately, based on our research, the product does not contain essential digestive enzymes which help breakdown food to ensure healthy bowel movement. It also lacks the presence of BioPerine which is needed to help increase absorption and bioavailability. Without these ingredients, the product may not be as effective as other brands. The manufacturer suggests that the user take one capsule in the morning and one capsule in the evening. The capsules should preferably be taken 30 minutes before a meal is eaten. The product can be purchased from the manufacturer’s website. Customers will be happy to know that the product has been marked down from $49.99 to $14.95. This is however a very big drop in price and may be due to complications with the product’s ingredients or the effectiveness thereof. The product can also be purchased on Amazon for $13.95. The manufacturer states that they offer a 90-day money-back guarantee. If you are not satisfied with the product, you may take advantage of the risk free return policy. This seems promising, however, the manufacturer does not indicate the condition the product must be in upon returning it. Without this information, the customer may be refused a refund when returning products. All testimonials provided on the manufacturer’s website indicate that customers are very satisfied with the product. The only problem with these testimonials is that they have been pre-selected and are all positive. Our review of Nutri Suppz Probiotics Ultra has provided us with a clear understanding about the product. We like the fact that the manufacturer provides the customer with clear instructions on when and how the product should be taken. However, there are many more things about the product that we do not like. First of all, the manufacturer has drastically dropped the product’s price which may be an indication of low-quality ingredients or due to the product being less effective compared to other brands. Furthermore, the supplement does not contain clinically proven ingredients that have been proven to be effective. These include a variety of digestive enzymes as well as BioPerine. Finally, the manufacturer offers a weak guarantee as they do not indicate the condition the product must be in upon returning it. Due to these unfortunate facts about Nutri Suppz Probiotics Ultra, we do not recommend it as a safe and effective IBS supplement.